We provide experienced, independent and trusted professional legal services at the highest level of personal attention to our clients and personal involvement with them on the matters for which we are assisting them. We are independent, flexible and not restricted by firm policies and committee decisions in addressing the economic and other issues that our clients consider when engaging counsel. 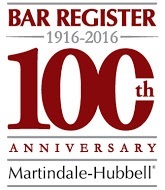 Earle Goodman is Martindale-Hubbell AV rated (5.0 of 5.0) and has been listed in the Bar Register of Preeminent Lawyers under real estate law for over 25 years. Earle comes from a long time Southern California real estate family which was noted for owning numerically one of the largest portfolios of Southern and Central California real estate. Earle served as General Counsel and General Partner of a limited partnership subsequently formed to own, manage and implement the orderly disposition of these properties. As such, he not only dealt with ongoing real estate and business contractual, litigation, legal and management issues, but also with the personal issues involved in operating a company with multiple family and corporate partners and numerous unrelated property co-owners, each with their own personal financial and operational preferences. He also personally owned, hands-on constructed and remodeled estates in Bel Air, Hollywood Hills and Malibu Point Dume Bluff. Today, Earle continues to takes a multi-disciplinary approach to the practice of law focusing on sophisticated and complex real estate transactions. With both a litigation and transaction background, Earle structures, negotiates and drafts sophisticated real estate, business transactions and trusts with the insight and perspective of a litigation attorney who litigates the weaknesses and flaws of a transaction or contract and he represents parties in resolving real estate and trust disputes with the insight of a transaction attorney who structures complex transactions and trusts. As a licensed real estate broker (DRE License No. 01096576), Earle understands the perspective of a broker as well as a principal and attorney in negotiating real estate purchase transactions and leases. We represent U.S. resident and foreign individuals and families and their family owned entities. Many of our clients are noted celebrities in the entertainment industry, international dignitaries, CEOs and others who value and need to protect their privacy. At their request and for their security, except as otherwise required in litigation or government filings, we maintain the confidentiality of the identity of our clients and the matters on which we are assisting them. Our law practice focuses on real estate and businesses located in Los Angeles, Ventura, Santa Barbara and San Luis Obispo Counties of California. When in-person meetings are scheduled, we usually meet with our clients where they are located and can arrange for conference room accommodations throughout Central and Southern California. Our international and Personal General Counsel practice includes clients and transactions in the Middle East, Far East and Europe. *Earle has constructed and remodeled personal residences in Bel Air, Malibu and the Hollywood Hills and has practiced law and been a member of the association of realtors in the areas of our luxury estates practice. He understands these environments and the residents who live there. The areas of our luxury residential estates transaction practice include the Los Angeles Westside (West L.A./West Hollywood/Beverly Hills/Bel Air/Westwood/Brentwood/Pacific Palisades/Santa Monica/Malibu), West SFV, South Santa Barbara County and West and South Ventura County. We offer hourly billing, a fixed fee for all or a portion of a transaction, a hybrid fee structure involving a combined reduced hourly rate plus a reduced contingent fee (client is responsible for all costs in contingent fee arrangements) and commission based compensation.